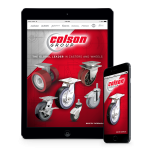 In many cases, caster and wheel products wear quickly by subjection to abusive or unreasonable demands. 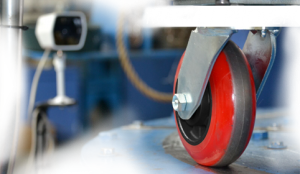 The most important factor in making your caster and wheel products last is choosing the correct caster for your needs. 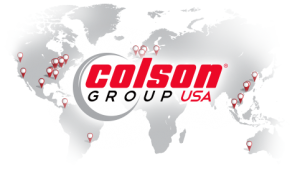 Talk to a member of the Colson team before making your initial purchase to increase the likelihood you will select the best caster to meet your material handling needs. Tighten loose bolts and nuts and look for broken welds or deck boards. Look for frame distortion due to overloads or impact loads. A distorted frame can cause premature wheel failure because of abnormal loads on one or two casters. If casters are stem type, bolted or riveted in place, make sure the legs of the equipment are not bent and mounting bolts are properly secured. Always use lock nuts or lock washers in mounting casters. Be sure casters with expanding adapters in tubular equipment are held firmly in place. 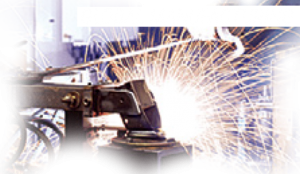 All caster bearings need to be lubricated with a high quality multi-purpose grease that has good extreme pressure and anti-wear characteristics, as well as withstands temperature range that fits the application requirements. Wheel and swivel bearings last longer if lubricated regularly. Some lube applied to friction points on the wheel hub, washer and leg surfaces of straight roller bearing systems reduces drag and improves reliability. Normal conditions may warrant lubrication every six months, but once a month may be necessary in extreme applications, such as corrosive or exceptionally dirty environments. Cart washings may necessitate lubrication after each wash. Check for visible points of tread wear. Flat spots may indicate foreign material, such as string, thread, metal, etc., causing wheels to bind. Thread guards will delay build-up of such materials. Loose casters or frozen wheels may also produce flat spotting. Replace wheel and/or caster to avoid erratic rolling. After inspecting and making corrections, be sure axle nut is properly tightened. Use lock washers or nuts on all axles. Tighten loose axle immediately to avoid becoming cocked in the caster housing/rig and locking up. 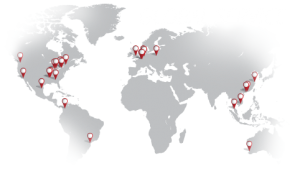 Keep replacement wheels and bearings on hand to avoid costly downtime. Discard abused or damaged wheels. If swivel assembly is loose, it may need to be replaced. If caster has a king bolt nut, make sure it is securely fastened. If swivel assembly does not turn freely, check raceways for corrosion or dirt. If equipment has rigid casters at one end, make sure caster housing/rig is not bent. When necessary, retighten caster mounting bolts and, if casters are welded to equipment, check the welded elements for cracks. Place loads gently onto any cart, truck, or bin attached to any casters. Overloading or dropping loads (shock loading) on carts, trucks, or bins may cause sudden wheel or equipment failure. High speeds on rough floors can quickly create severe damage to tread and wheels.